There goes a lot into planning a trip to Canada. Not only do you need to know about electronic travel authorization and visa’s, but the country itself is also varied. Find out everything you need to know if you want to visit Canada and in case you want to, how you can extend your stay. Canada is an incredibly beautiful country with endless lakes, forests and fantastic wildlife. Your visit will be one of the most memorable vacations you’ve ever taken and we’re sure you will have a ton of fun! Like any other country, Canada has laws to protect its borders and security but entering Canada as a tourist is relatively easy to do, depending on what country you’re from. Visitors from all other countries except USA are required to have a passport, children included, and depending on what country you are visiting from, you may also need to apply for an eTA (electronic travel authorization) and/or a visitor visa. Visitors from the USA (US citizens) can also enter the country with a driver’s license or identity card. They do not need to have a passport. If you are coming from the United States with minor children who are not your own or, if you have your own children with you and the children’s other parent is not traveling with you, then it is recommended you have a letter from the other parent with permission for you to take the child into Canada without them. Thousands of international business entrepreneurs come to Canada every year to do business with Canadians and Canadian businesses. To do this, the business visitor must obtain a Business Visitor Visa (wich is called the B1 visa). This visa allows visitors to do business in Canada as well as enjoy Canadian culture. This means you can also do tourist-related activities on this visa. There are a few requirements to enter Canada using a business visa. You will have to show that your main source of income and your businesses are outside of Canada. You cannot have a criminal record or be inadmissable based on health. And last but not least, you will have to show that the purpose of your stay is temporary. How can I get my ETA? 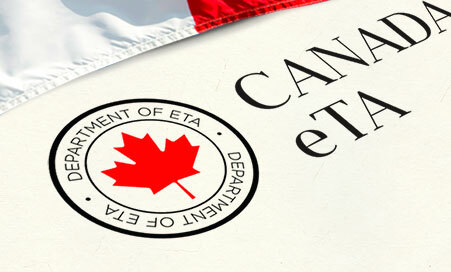 Through eta-canada-visa.com, you can receive your ETA for travelling to Canada in less than 24 hours and 72 hours at the most.